In Lieu of Flowers: In lieu of flowers, please make donations in her memory to the American Heart Association 1 Union Street, #301 Robbinsville, NJ 08691. 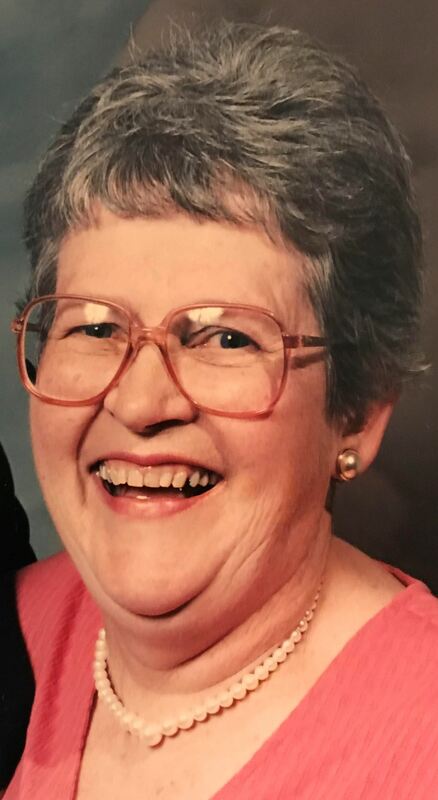 Sally D. (nee-Dudack) Carroll, age 89, passed away on January 15, 2019 at Merry Heart Nursing Home in Succasunna. She was born and raised in New Britain, CT and lived in Natick, MA for 3 years, and Stamford, CT for 12 years before moving to Morris Plains in 1984. She was a dedicated homemaker to her family. Sally earned her Bachelor of Science in Dietetics from the St. Joseph College in West Hartford, CT in 1951. She was a member of the American Dietetic Association for over 50 years, a dedicated parishioner at St. Christopher’s RC Church and an avid swimmer at the Lakeland YMCA. She loved her years with family and relatives enjoying summers at the RI shore and Cape Cod. Sally was predeceased by her loving husband and partner in life, James J. who passed away in September 2013. Survivors include her sons: John P. and his wife Ann of Randolph, and James S. and his wife Bridget of Mt. Olive; her daughters: Mary E. Carroll of Morris Plains, and Sarah M. Carroll and her companion Frank Phelan of Quincy, MA. ; and her cherished grandchildren: Samuel, Jack, Regan, and Sean. Relatives and friends are invited to attend her Liturgy of Christian Burial to be offered at 10:00 a.m. on Tuesday, January 22, 2019 at St. Christopher R.C. Church, 1050 Littleton Rd., Parsippany NJ. Interment: Gate of Heaven Cemetery, East Hanover. Visiting hours will be on Monday from 5:00 p.m. to 8:00 p.m. at the funeral home. In lieu of flowers, please make donations in her memory to the American Heart Association 1 Union Street, #301 Robbinsville, NJ 08691.